It’s called a Family Mission, or a Family Mission Statement. Sometimes, people call it a Family Vision. Whatever the name, this is a parenting tool you just can’t live without. Especially if you, too, think that parenting is quite challenging – most of the time. But the process of creating our own Family Mission Statement looked soooo long and complicated that I just postponed the whole thing again and again. Until 2016. We created our own Family Mission Statement almost 2 years ago now. And we’ve been using it so often that that the framed glass is stained with fingerprints. 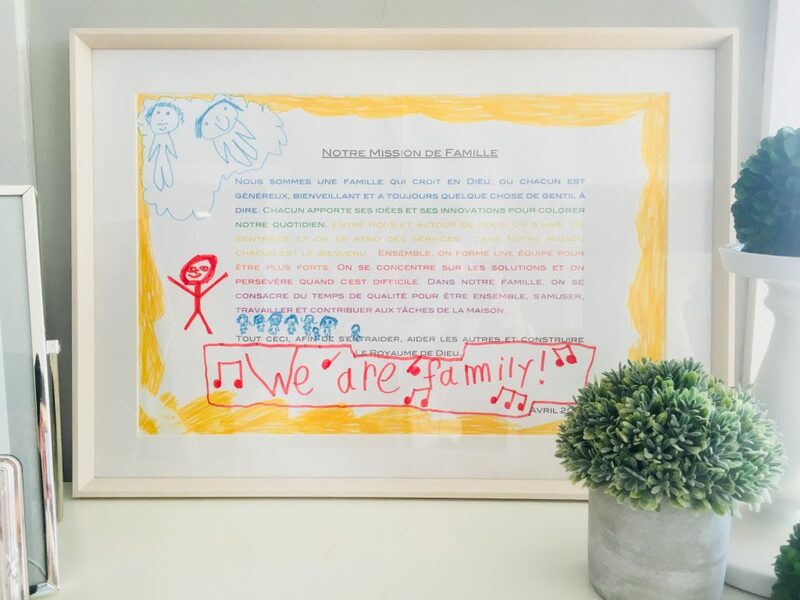 Today, as we were having a family meeting and were reading our Family Statement again, I thought maybe it was my turn to share what our family learned along the way… And especially how to streamline the process so you can hang your own Family Mission Statement on the wall in a couple of days! It is VERY tempting to use a pre-made, done-for-you template for a Family Mission Statement. Did you ever encounter a done-for-you Family Sign like this one? Or maybe you saw the same thing on Etsy.com – Etsy is an online platform to buy and sell handmade items- or in the decor aisle of your Department Store. Well, if you didn’t buy this kind of Family Sign yet, my advice for you is: just hold on a sec’, sister. 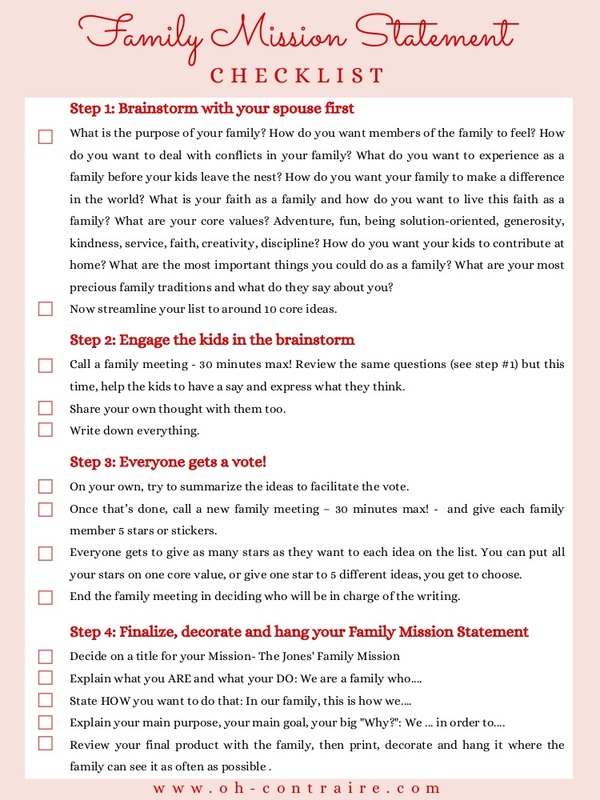 Because if you’ready to take the plunge in creating your very own Family Mission Statement, the end result will just take your breath away. Seriously. We’ve done our Family Mission Statement almost 2 years ago now. It still brings tears to my eye each time I’m reading it. I had it framed last year and it has followed us in every single house we lived since: first in NJ, then in Ireland in our 2 rentals located in Dublin, and finally in NJ again. If my house was on fire, I think I would first have my kids safe, then my Family Mission Statement. No kidding. Each time I really feel like losing my nerves there, I get back to our Family Mission Statement. When my kids ask me Why on Earth they have to do their chores instead of getting coach-potato with a comic book, I get back to our Family Mission Statement. Whenever we discuss parenting issues with my husband or when we have a family meeting, we get back to our Family Mission Statement. This thing is keeping me sane, guys. And the only reason why is that we created the whole thing TOGETHER, as a family. Word by word, we stated exactly WHO we are and HOW we want to resolve conflicts, how we want to interact with each other and WHY. What is the purpose of your family? How do you want members of the family to feel? How do you want to deal with conflicts in your family? What do you want to experience as a family before your kids leave the nest? How do you want your family to make a difference in the world? What is your faith as a family and how do you want to live this faith as a family? What are your core values? Adventure, fun, being solution-oriented, generosity, kindness, service, faith, creativity, discipline? How do you want your kids to contribute at home? What are the most important things you could do as a family? What are your most precious family traditions and what do they say about you? Write down everything and don’t limit yourself, the idea is actually to get loads of ideas!! But do focus primarily on what your family REALLY IS, not on what your family should do or should be. If it does not resonate with your experience, with your actual everyday family life, don’t keep the idea. Now that you have a first idea of where you’re heading to, streamline your list to around 10 core ideas. Now is a good time to get the kids involved. Include them even if you think they’re too young to actually contribute. Everybody should have a say. In fact, you really want to gather every member to acknowledge who you are, as a family. Now, review the same questions (see step #1) but this time, help the kids to have a say and express what they think. Share your own thought with them too, now that you have a more precise idea of your core values. Write down all the contributions on a new sheet of paper. It should take you something around 30 minutes. Don’t make it last longer, especially with little ones, or else you’ll lose all their interest… and the momentum too. On the following day, review your family list of answers and values, and try to summarise the ideas to facilitate the vote. The point is only to make sure there are no duplicates. Be careful not to rephrase too much in your own words. You’ll want to stay true to your family ideas and thoughts, even when they’re expressed in their own way. Once it’s done, call a new family meeting – 30 minutes max! – and give each family member 5 stars or stickers. Yes, you and your husband included : ) My recommendation would be to have this meeting as soon as you can, to keep the momentum going! This time, the meeting agenda is to streamline your main ideas and values. Everyone gets to give as many stars as they want to the ideas on the list. You can put all your stars on one core value, or give one star to 5 different ideas, you get to choose. You can also modify your vote depending on the other votes if by example you saw that your most important idea did not get enough stars. Try to keep in mind what kind of Family Mission Statement you would like to end with. A short and straightforward statement to express your mission in 5-10 words? Or a longer text? Whatever you may prefer, keep this in mind when planning for the vote. For example, keeping only the 5 ideas with the most stars will allow to create a short and straight-forward Family Mission. If you plan on a longer text, you could keep all the ideas that got at least one or two stars. Finally, end the family meeting in deciding which member of the family will be in charge of the writing – usually Mom or Dad. Writing your Family Mission Statement usually requires all the ideas and values that received the stars. This fourth step is really up to you: you can get creative and compose a series of sentences containing the chosen ideas and values. Or you could just jot down a list of items, ordered by importance – the number of stars. 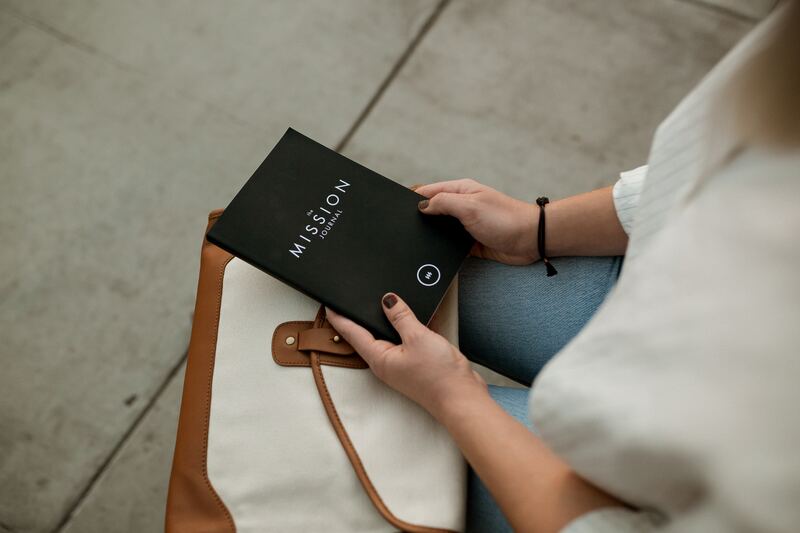 To help you finalize your Family Mission, here is the structure you could use: – but only if you think that’s helpful in your case! Start by explaining what you ARE and what your DO: We are a family who…. Continue by stating HOW you want to do that: In our family, this is how we…. Finally, explain your main purpose, your main goal, your big “Why?”: We … in order to…. Make sure to review your final product with your spouse and kids at least once to make sure everybody is on the same page. I strongly recommend printing your new Family Mission Statement on a very large sheet. This way, your kids can put their decorative touch to it and make it their own. The idea is to get them involved from the beginning to the very end of the process. Sovyour Family Mission Statement will actually be a family creation – not something you and their dad created on your own. That’s it, guys! Now that you have your own Statement, keep the momentum by using it as soon as an occasion occurs. A discussion about the family rules? Bring your Statement to the table. An argument about kids not contributing enough at home with their chores? Get back to the Family Mission Statement. 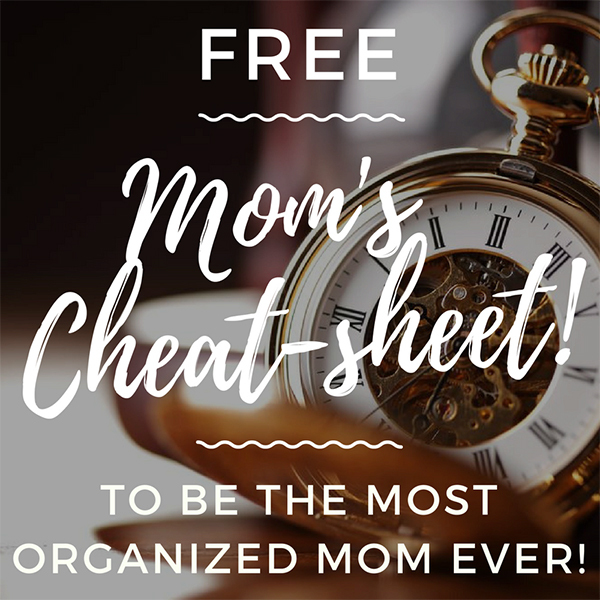 Feeling like you’ve lost your mom’s mojo these days? 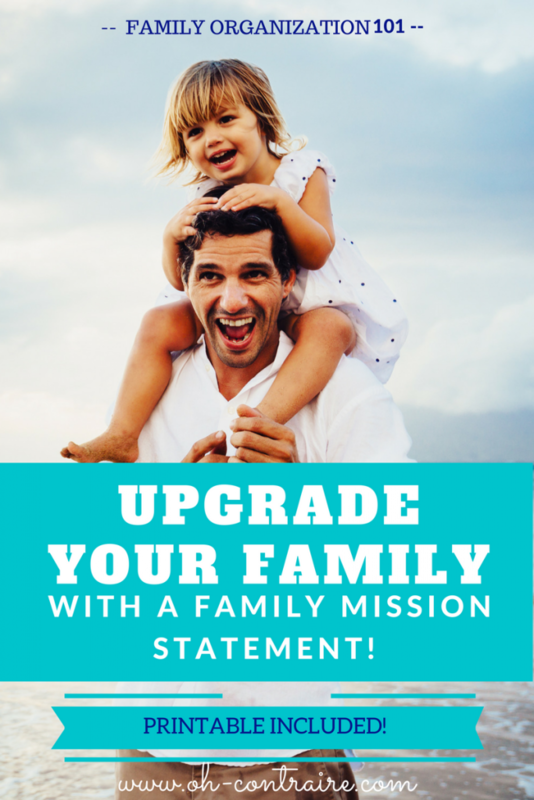 Read your Family Mission Statement again! Hope this helped a tiny bit. A Family Mission Statement is such a great parenting tool! I’m confident it will help you become more of the amazing family you already are.